Alien: Isolation is the most authentic Alien experience you can have beyond watching the film. 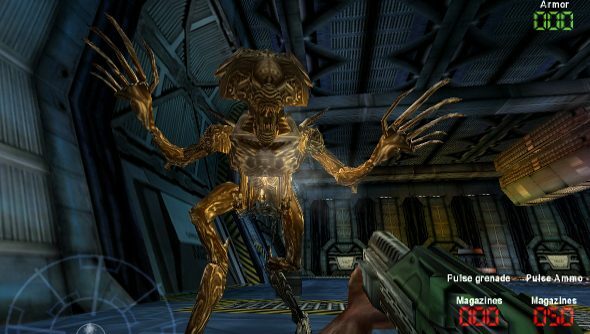 But if you’re looking for some xenomorph action that has less crawling around on all fours crying to yourself and more shooting and a lot more aliens, then perhaps Aliens vs Predator would be more your speed? The classic from Rebellion is free on GOG right now, if you sign up for the next round of Galaxy beta testing. But you’ll need to sign up within the next 48 hours. Until Isolation came around, this was perhaps the best game featuring xenomorphs, though Rebellion went for the safer Aliens action instead of the slow burn of Alien horror. It’s all out-of-their-depth marines with lots of firepower; quick, monstrous xenomorphs dropping from the ceiling and slicing everyone up; and predators jumping around shining laser pens in folks’ eyes like utter arseholes. You get three campaigns, one for each species, and this is the 2000 Gold version, so it will play nice(er) with modern rigs and you can even use an Xbox 360 controller for some reason.